Okaaspain, tienda online de merceditas en Serratex estampado con flor y velcro. 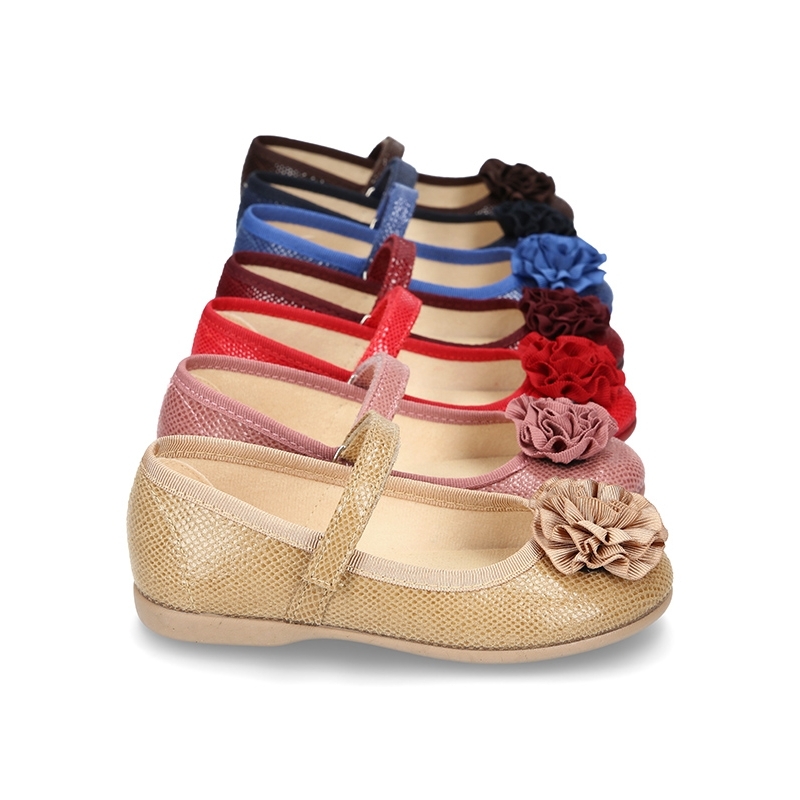 > First Steps>Mary Jane>Printed autumn winter canvas little Mary Jane shoes with velcro strap and FLOWER detail. 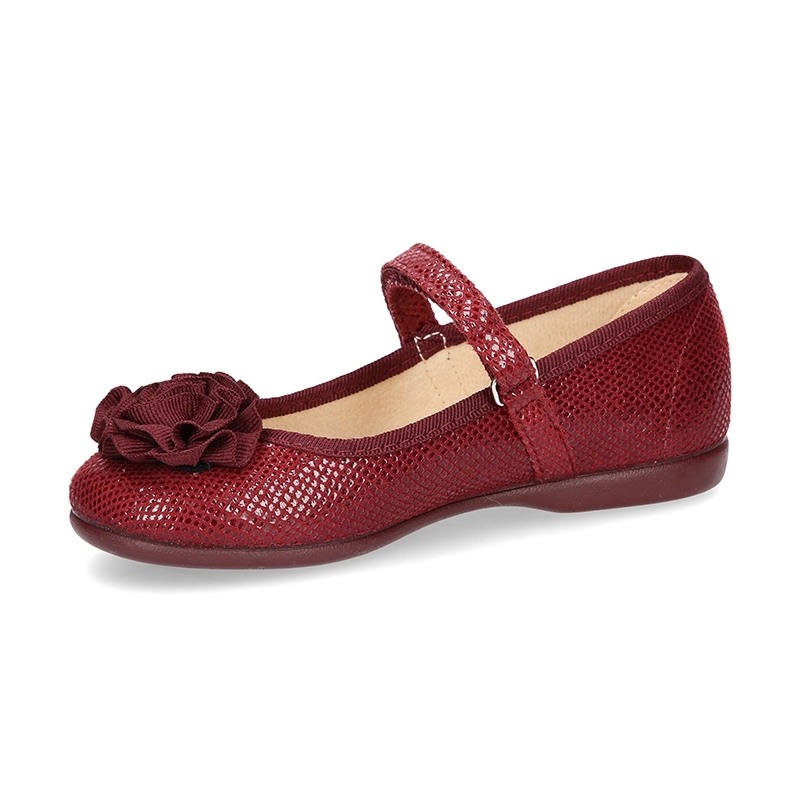 Printed autumn winter canvas little Mary Jane shoes with velcro strap and FLOWER detail. 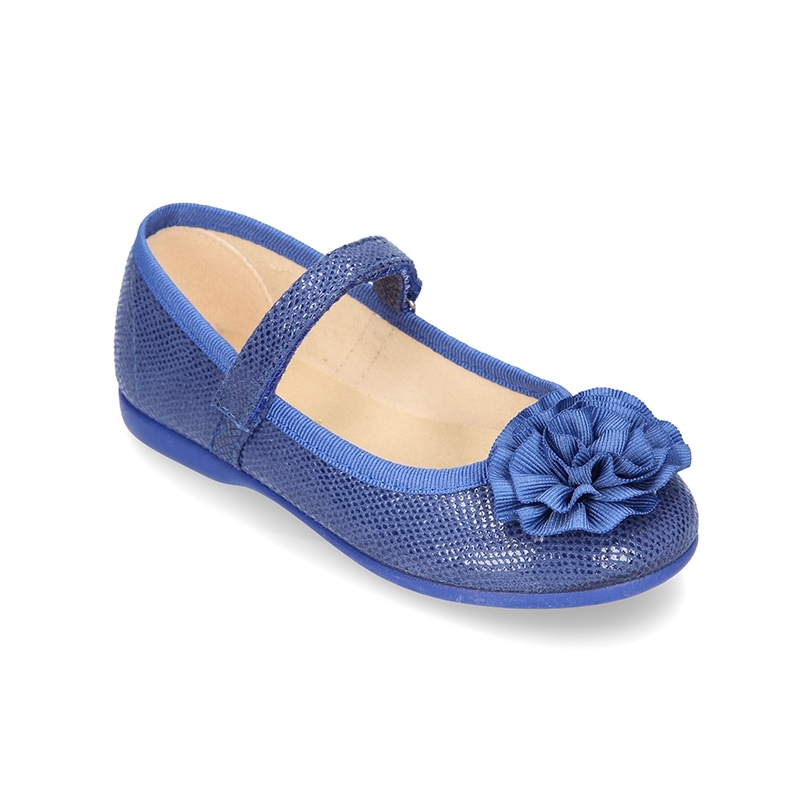 Printed autumn winter canvas little Mary Jane shoes with velcro strap and FLOWER detail for girls. Iris blueDeep redCamelNavy blueBrownRedmakeup pink. 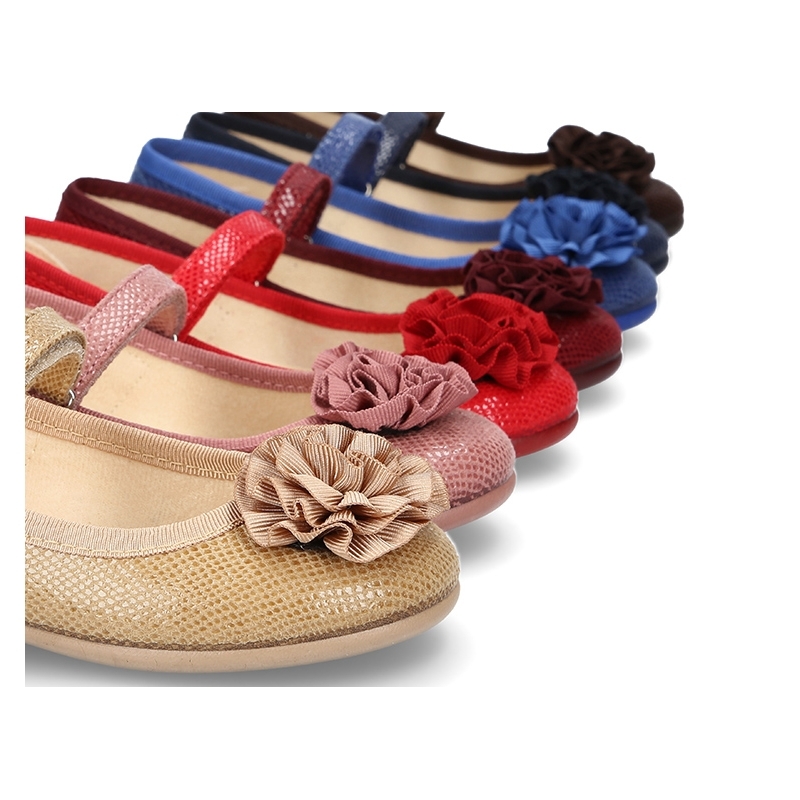 More info about Printed autumn winter canvas little Mary Jane shoes with velcro strap and FLOWER detail. 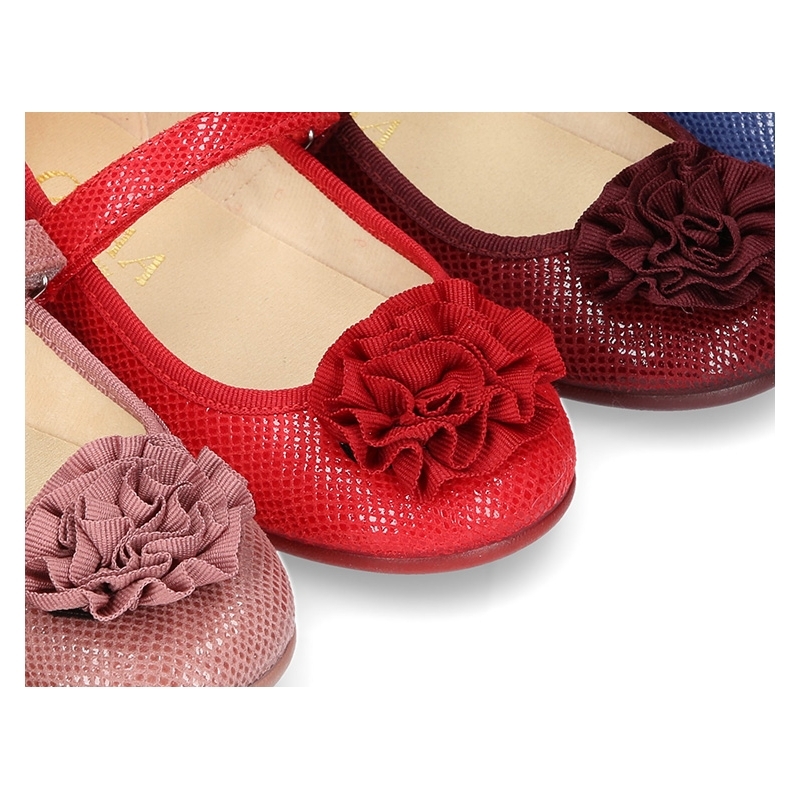 Printed autumn winter canvas little Mary Jane shoes with velcro strap and flower detail for girls. Made up of 100% natural canvas with print stamped design and high quality finishes. Very practical, elegant, and fits with every garment this autumn/winter. 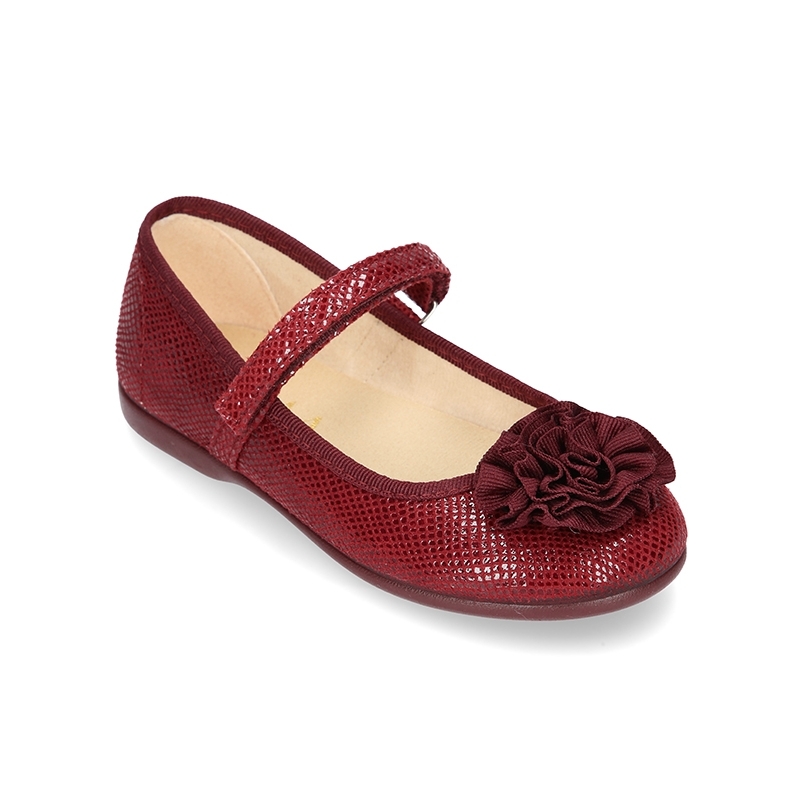 Perfects for any occasion this autumn winter. 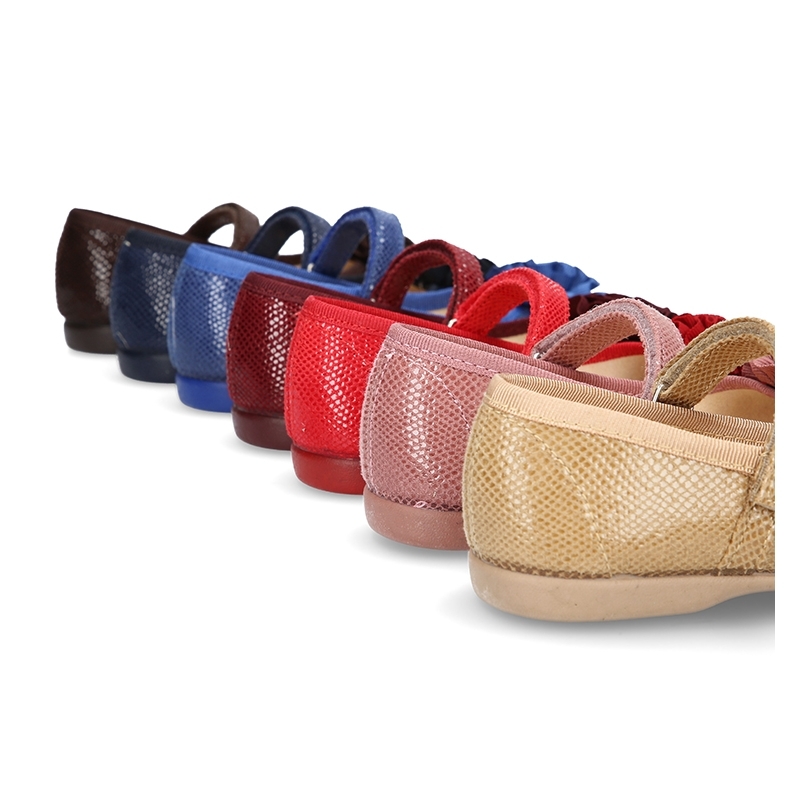 With velcro strap closure for a better comfort and a perfect adaptability to any contour feet. Available in 7 colors. 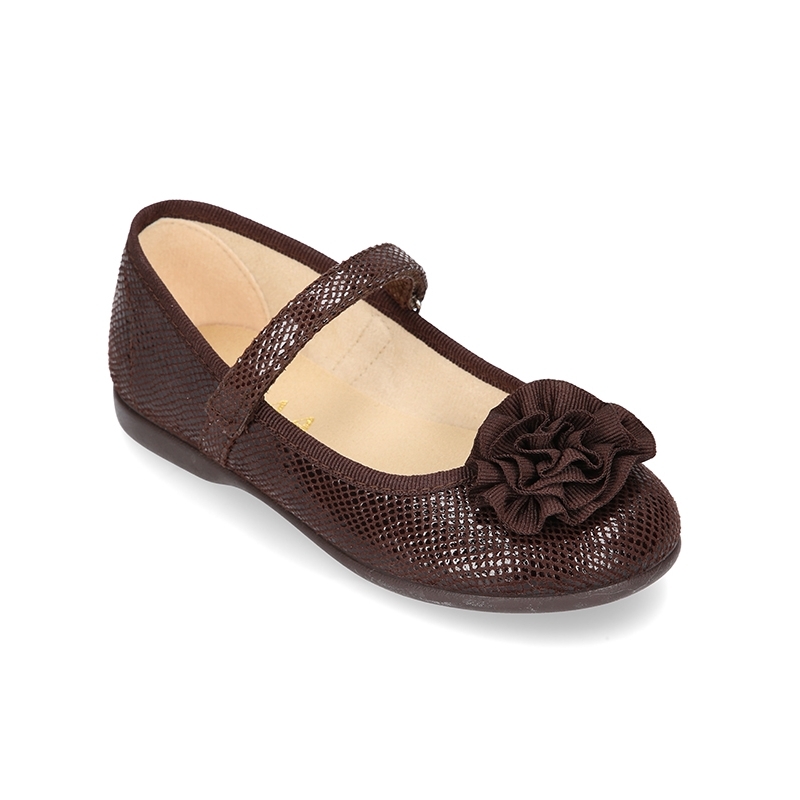 Range of sizes, from 19 Euro size up to 32 Euro size. SIZING REGULAR. 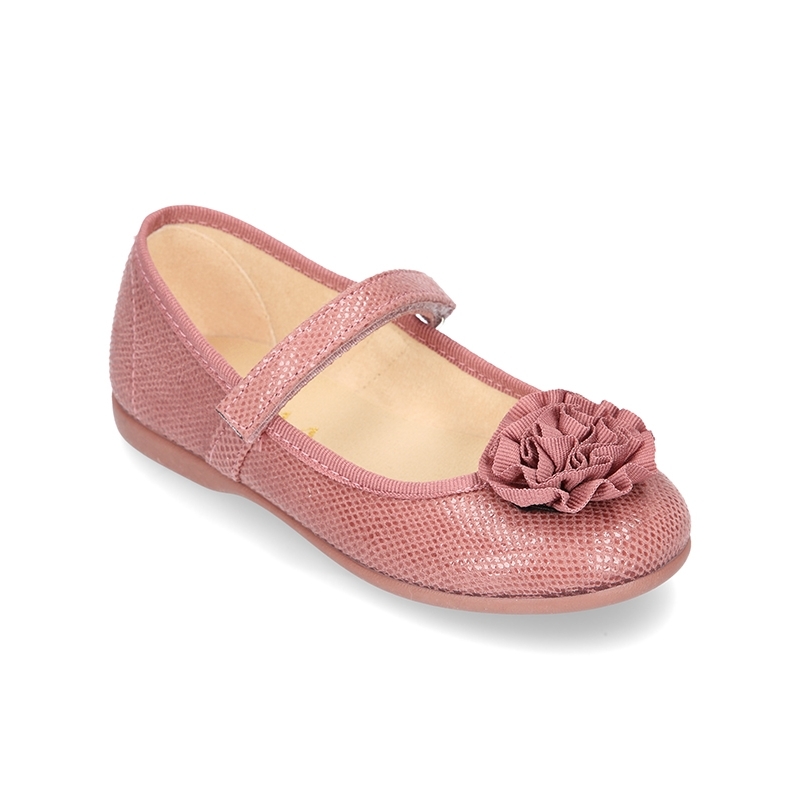 Available in bigger sizes in ballet flat model, for all sisters can dress equal. 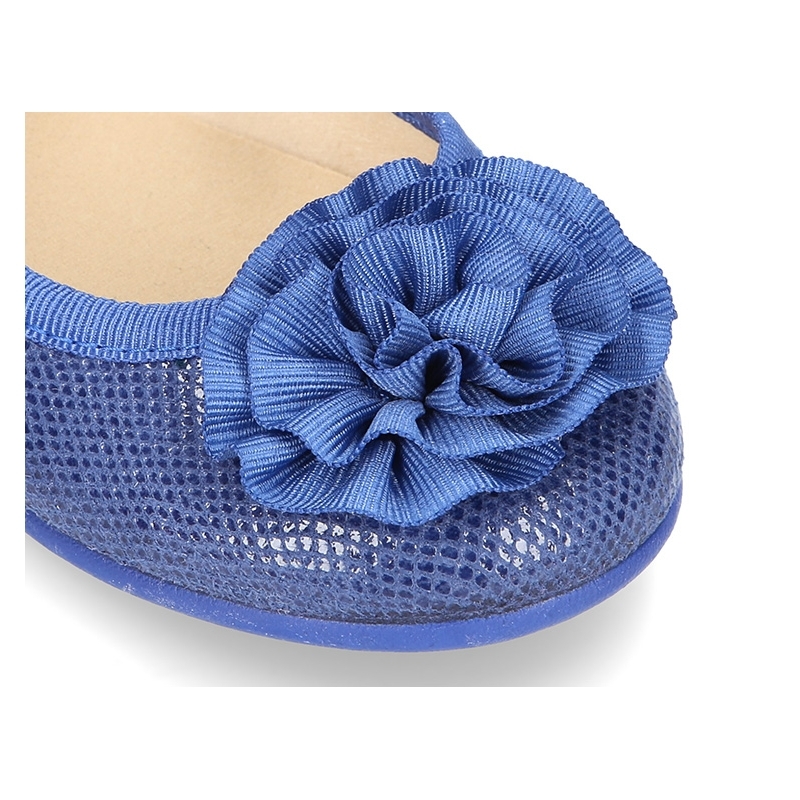 Data sheet about Printed autumn winter canvas little Mary Jane shoes with velcro strap and FLOWER detail. Medidas sobre Printed autumn winter canvas little Mary Jane shoes with velcro strap and FLOWER detail.